America Place has been providing customizable warehouse buildings for businesses for over a quarter of a century. 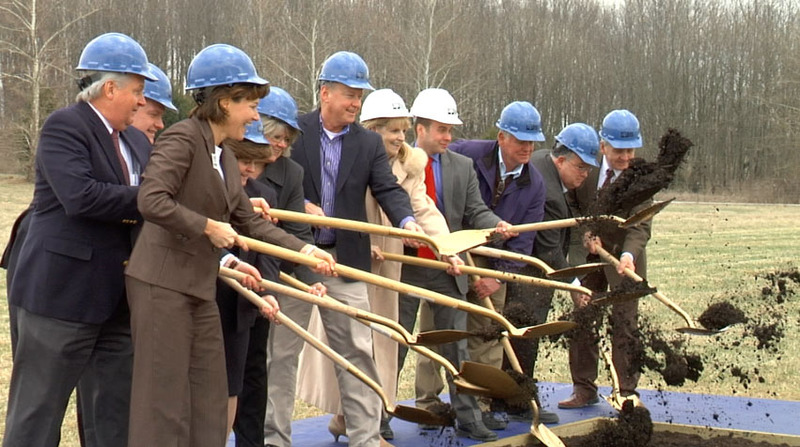 Yesterday they broke ground on their latest development in the River Ridge Commerce Center in Jeffersonville, Indiana. Mayor Mike Moore, along with representatives from America Place, One Southern Indiana, River Ridge, and several local and state elected officials were there to welcome America Place to Jeffersonville and participate in the official groundbreaking ceremonies. The first of three warehouses/distribution centers will comprise 150,000 square feet of customizable and leasable space, with two more warehouses in the works. Ultimately, America Place officials say that they will invest $30M in Jeffersonville providing greater opportunities for companies to move their businesses – and more jobs – here!